"you are only as young as your spine is flexible." ​Every body is different. Therefore each session is customized for your individual needs. Beginning with an assessment of your body, Ryoko will guide you to help release built-up holding patterns or tension due to injury, surgery, or postural habits. She will then introduce movements to lengthen and strengthen the body to address any muscular imbalances. Improving posture and awareness will allow the body to move most efficiently with confidence. Your sessions will reinforce healthy anatomical alignment and cultivate your awareness. ​She utilizes her knowledge of biomechanics and anatomy to help clients from all walks of life in a fun and intelligent way. 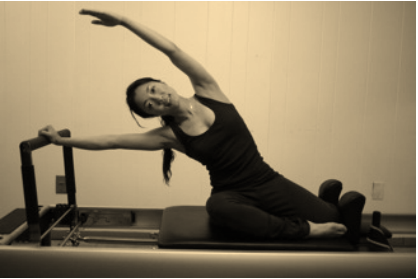 ​​​​Ryoko's Private Pilates Sessions are offered at The Pilates Space. In her sessions, she integrates her personal experience to create a fun and intelligent movement experience. The Pilates Method is a system of movement and exercise, developed in the 1920's by German born Joseph Pilates. 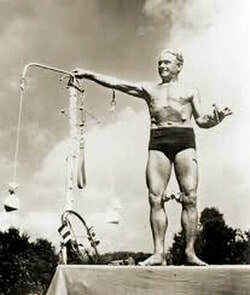 His ambition was to create a set of exercises to strengthen the mind and body from the inside out. He believed that mental and physical health are inter-related. Pilates connects the mind and body for the body to be able to move with fluidity and grace utilizing six basic principles: concentration, control, center, flow, precision, and breathing. Pilates is designed to strengthen the body's core by developing pelvic stability and control. The body will redevelop its natural foundation, which is often hindered by poor posture and motor control issues resulting from modern day living, injury, illness or heredity. This concentration of work within the core (pelvic floor, abdominals, psoas and multifidi) results in more fluid, efficient movements. Pilates builds coordination, strength, improves flexibility and joint mobility through slow, controlled movements and proper breathing. ​By combining elements of yoga, breath work, weight training and gymnastics, Pilates is a truly holistic form of exercise that cultivates a deep sense of awareness of the body and mind.